Welcome! 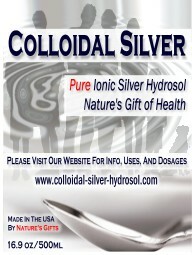 Truly, I am grateful that you are visiting our colloidal silver hydrosol website! The journey of discovery that led to my love of colloidal silver hydrosol literally started when I was 5 years old, enjoying summers with my grandparents. Like many of their generation, they always had a large garden and everyday they sent me into the garden to bring back lettuce, carrots and other veggies to be diced up into salads at lunch or dinner. Grandma was always telling me how I needed my roughage. I didn't have a clue what that meant but do now! I watched them everyday boil their drinking water. Purifying water was important to them. 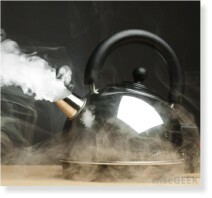 Later when carbon filters became common, they would filter it then boil it. I can see where so many of their health and food habits were driven from wanting to be healthy and also I'm sure because of their experiences of shortages during the Great Depression and WWII. They always had a basement full of canning items that they made during the summer in addition to a freezer full of meat. These two habits stuck with me today as my primarily my diet is organic, my favorite meal is a huge salad and all my water is from a 7-stage RO system but then I add a pinch of sea salt to remineralize it. Their prepping habits of being ready for the Midwest winters also took hold in me. While I don't have cold winters here in South Florida, we do have hurricanes. It was amazing to see life in the context of pH. All the bad stuff the gurus tell us to minimize, eliminate or avoid are things that make us acidic. 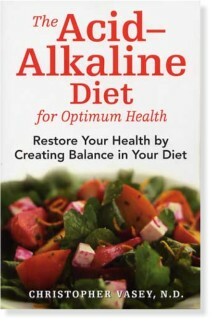 All the good stuff drives us towards becoming more alkaline. And cancers are said to thrive in the acidic and die in the alkaline. What a revelation to be able to see health with this central theme of pH! Next my journey took me away from health and nutrition exploration and into learning about our economic system which led me to learning about silver in particular. Wow, what a revelation! I had no idea what a treasure to humanity that silver is! Over 10,000 uses, second only to petroleum oil (which would be second to industrial hemp once legalized). The key point that woke me up on silver was that a 90% silver U.S. quarter back in the early 1960's bought a gallon of gasoline. And today that same silver quarter will still buy a gallon of gas due to the value of the silver in the quarter! Now I understood what inflation really is....because of printing money, not because things are getting more expensive. 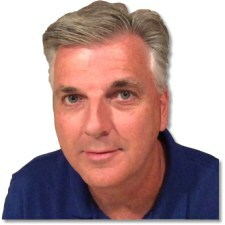 Click here to enjoy a great video series on YouTube called "The Hidden Secrets of Money". Five 30-minute episodes. I came to see clearly how silver has no substitutes as real money, as components in high technology (without silver all microelectronics are gone), and as a NON-TOXIC antibiotic, having anti-bacterial, anti-fungal, and anti-viral properties! So my whole life shifted again with silver as a central theme. Silver coins as a hedge against inflation (like that silver quarter I mentioned...print all the money they want and silver will reflect it by going up in value to keep pace), silver cutlery in order to gain trace amounts in my diet, and then Ionic Colloidal Silver Hydrosol for immune system support! There is also silver in the solar panels on my roof! What happened when I started taking colloidal silver hydrosol? Well, first I detoxed! That was great! Never saw that coming. It's called the Herxheimer Effect. 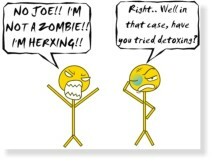 "The Herxheimer Reaction is a short-term (from days to a few weeks) detoxification reaction in the body. As the body detoxifies, it is not uncommon to experience flu-like symptoms including headache, joint and muscle pain, body aches, sore throat, general malaise, sweating, chills, nausea or other symptoms. This is a normal — and even healthy — reaction that indicates that parasites, fungus, viruses, bacteria or other pathogens are being effectively killed off. The biggest problem with the Herxheimer reaction is that people stop taking the supplement or medication that is causing the reaction, and thus discontinue the very treatment that is helping to make them better. Although the experience may not make you feel particularly good, the Herxheimer Reaction is actually a sign that healing is taking place." My detox felt like the flu but with NO fever and no mucus. Friends and family members that also started consuming colloidal silver also reported their detox experiences. We all were taking the exact same product that I'm offering on this website. With that detox experience and the mental clarity felt since (likely the candida being reduced), I was sold on the addition of colloidal silver hydrosol to my daily routine! I read a lot of good research and also bad info about ionic silver or colloidal silver hydrosol, not just for my benefit, but for the benefit of those wondering whether to drop $20 on a first product. I KNOW from my experience that colloidal silver hydrosol works! I've lived it! The research offered is there to help new folks gain the confidence to make their first purchase....after that, their experiences will replace anything they have read. Their experiences become firsthand research. Since I was making my own ionic solution and sharing it with others, word got out and people starting offering to pay me for it. And as they say, the rest is history. I'm sincerely blessed to have stumbled onto this gift of nature and to be able to share it at a fair value. I'm more concerned about building community than making a sale. At the bottom of every page is an opportunity to share any stories, experiences, questions, etc...., about your own journey of health whether it's regarding colloidal silver hydrosol or anything else. If you come across any articles, please share! We obviously have a medical industry that thrives off disease management and we can eliminate much of our need for medical attention by searching for wholistic tools. 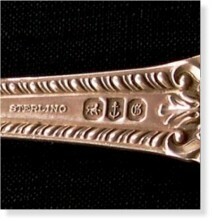 Prevention is the best medicine and silver is an excellent tool for any nutritional tool box. "Whatever I can do to reduce my use of regular antibiotics, count me in! More and more it seems that nature had the answer the whole time! Why we keep running to drugs that have scary lists of side effects is beyond me! So I look to holistic products for prevention and regular medicine for emergency care"
"Ionic silver appears to work by blocking an enzyme that pathogens require for survival and metabolism. Bacteria, fungi, viruses and parasites all seem to have this enzyme in common, but interestingly doesn't affect normal tissue cells of the body. In this sense, colloidal silver seems to be a backup defense mechanism for the immune system, reducing the load on the body's immune system."